The Turner Five | Cooking, painting, decorating and organizing our way through life. All while raising 3 kids. Cooking, painting, decorating and organizing our way through life. All while raising 3 kids. I’ve been wanting to do something with this everyday-run-of-the-mill bulletin board for a while now. 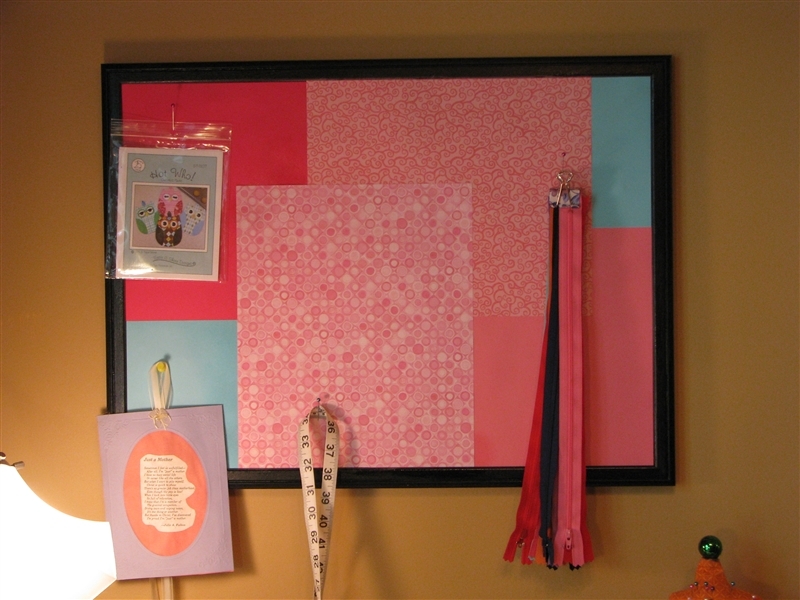 It started out as just a plain brown bulletin board. I think it’s been used in every room of our house. It was originally purchased to go in the kitchen. It did some time there, but then eventually moved into the oldest son’s room. When he was finished with it, it went to my daughter’s room. She never did like it or use it so it got taken down and put into the basement with all the other things that nobody wants. 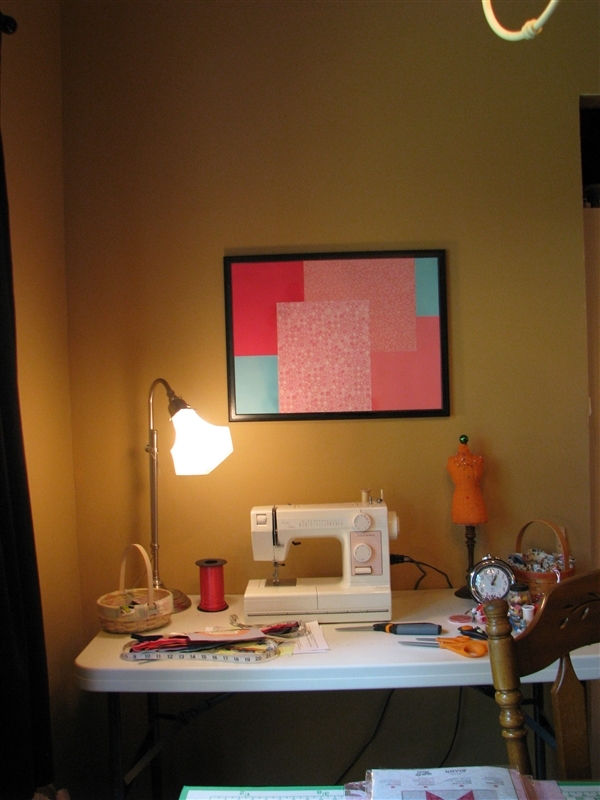 My office/craft room is in the basement so I guess that means that I was stuck with the bulletin board. I figure if I’m going to have it, I may as well try to make it a little exciting. I started off by stray painting the entire thing black. I was going to leave it like that. The accent color in my basement is black, so it would work. What doesn’t work is how “used” the board is. You can tell that kids had it in their possession at one time or another. I decided that I would give it some color, or pop if you will. 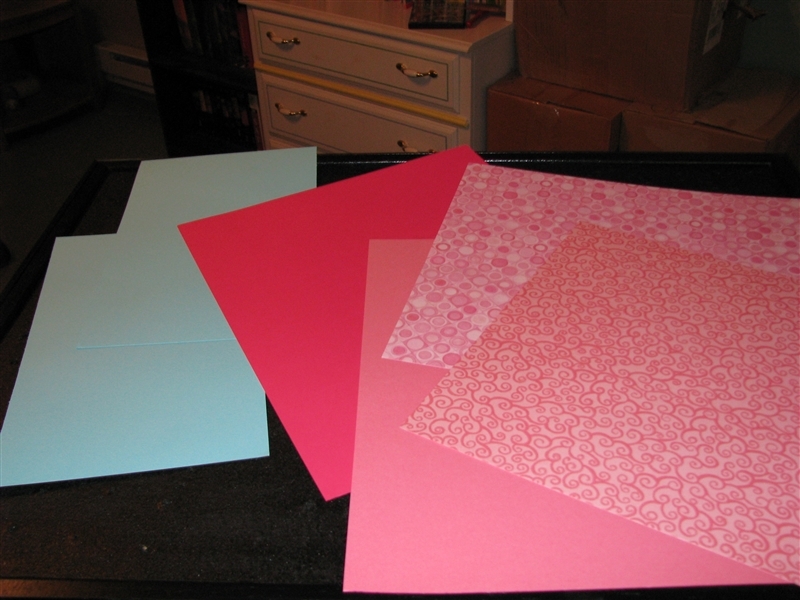 I picked some scrapbook paper in bright, bold colors. 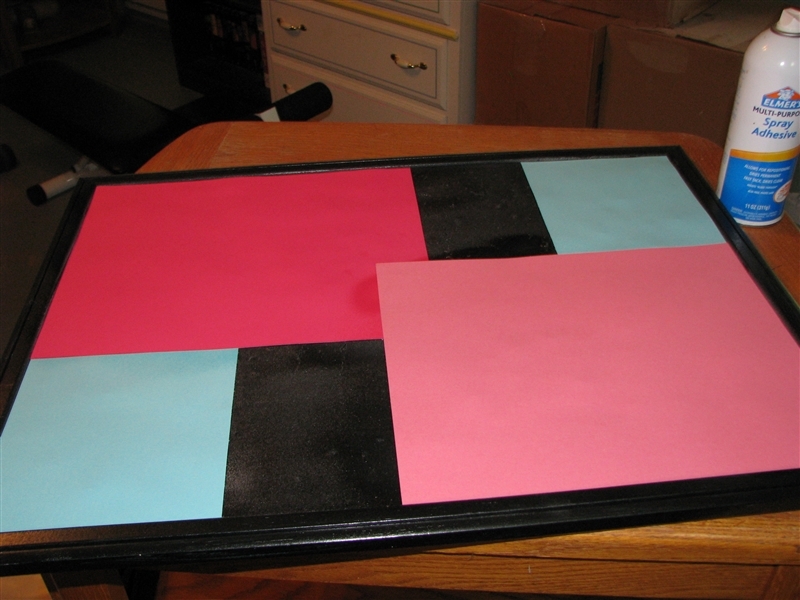 I laid it all out over the bulletin board and made any cuts to the paper to ensure it would fit. 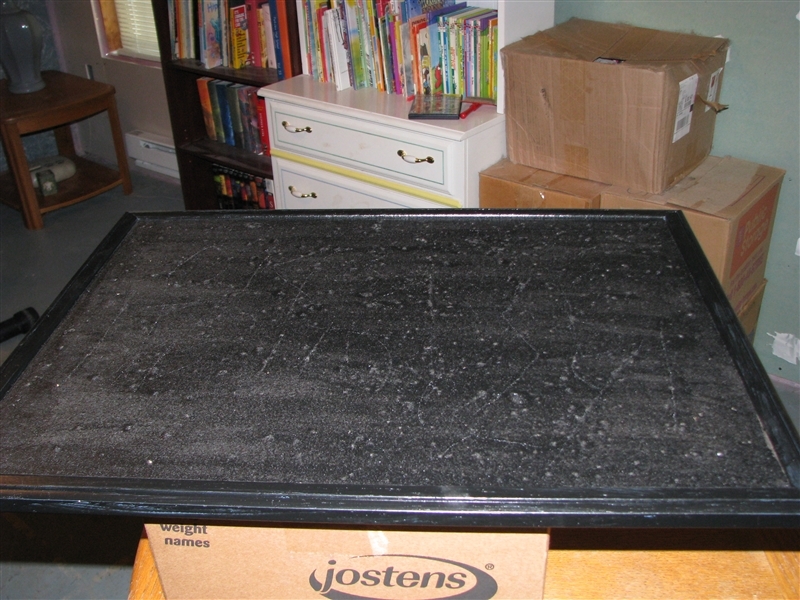 Then, I sprayed the bulletin board with spray adhesive and applied the paper. I made sure to start with the very bottom layer and only sprayed the adhesive to go directly under that piece. I then continued with the other pieces. 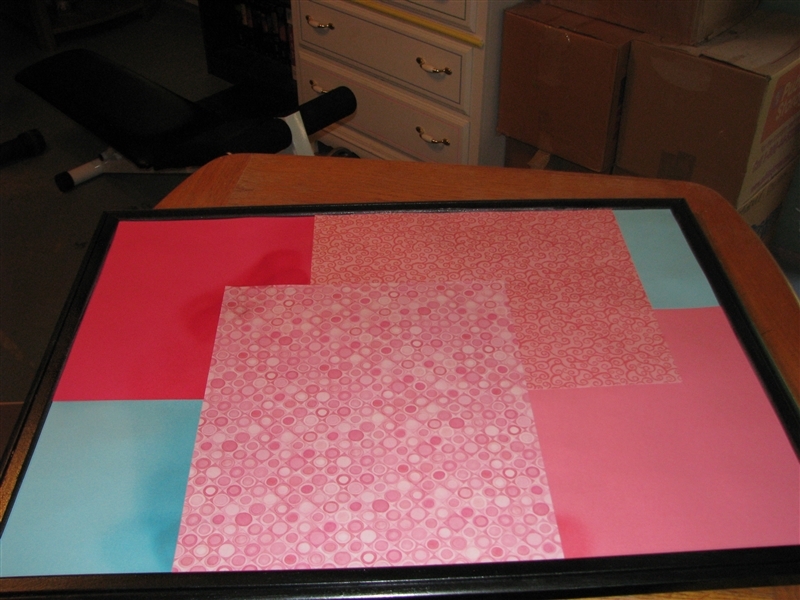 Lastly, I applied the very top pieces. 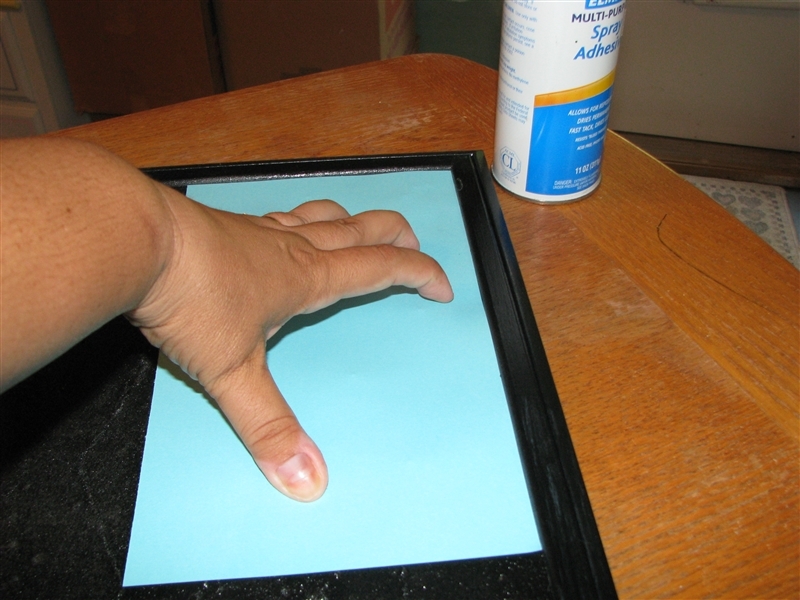 Make sure to press all layers down firmly paying close attention to the corners. 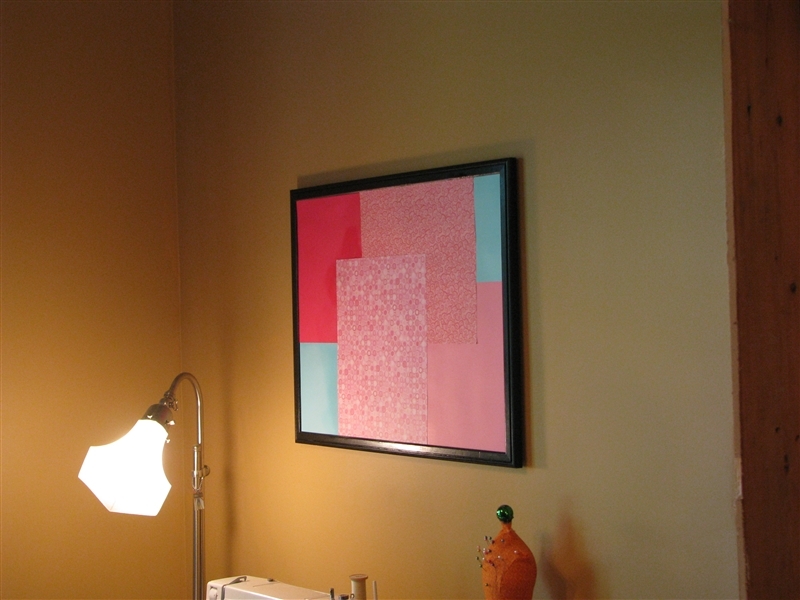 Allow it to dry for a few hours and then hang on the wall. 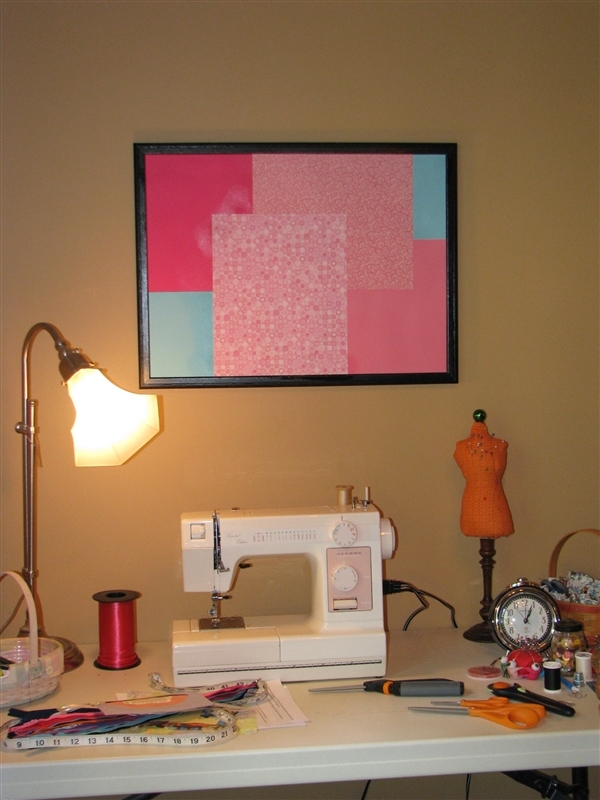 I love the way it turned out and it looks great above my sewing machine. I see so many people doing this kind of fun stuff and I never get around to doing it. I love how it turned out and it was super easy to do. Probably took me a total of 15 minutes minus the drying time. So when you see cool projects that you really want to try, don’t be afraid. Give it a shot, you’ll be surprised how easy they can be. 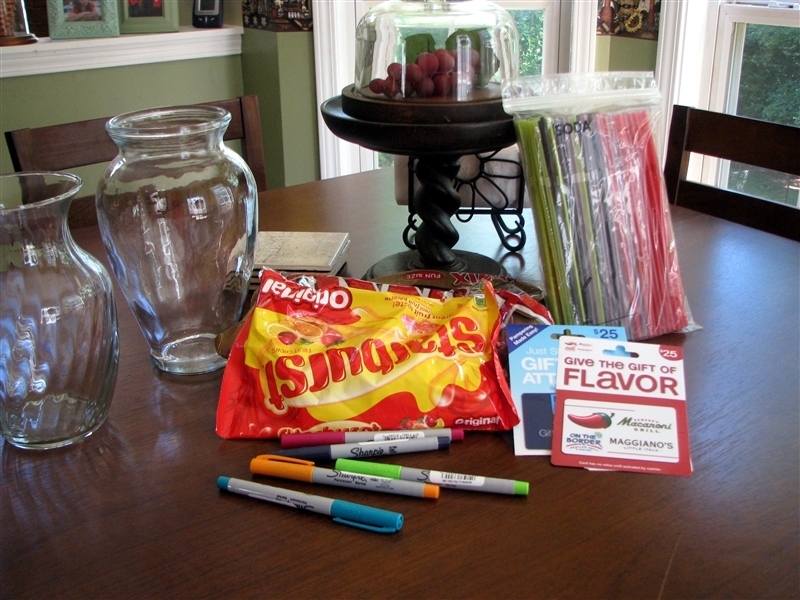 School is almost out for the summer here in GA.
With each end of the school year, we have Teacher Appreciation Week. Each day of the week, the students (or parents rather) are supposed to do something for the teacher. You know, to show their appreciation for all the time they have devoted to the classroom all year. The week ends with a classroom gift for the teacher. At the beginning of the year, the teachers are given a survey to fill out so the room moms can know a little more about them. Some of the things they are asked are favorite places to eat, colors in their home, favorite books, favorite candy etc. This helps greatly at the end of the year when you are trying to get a gift. The parents are able to make a monetary donation towards this gift and the room moms go out and get the gift. I was one of the room moms for my son’s 5th grade class this year and this is what we came up with. It was pretty easy to put together and we used a lot of the things she said she liked from her survey. I started with all her favorite things. The vases and straws were donated from the other room mom but we used money we received to purchase the rest. 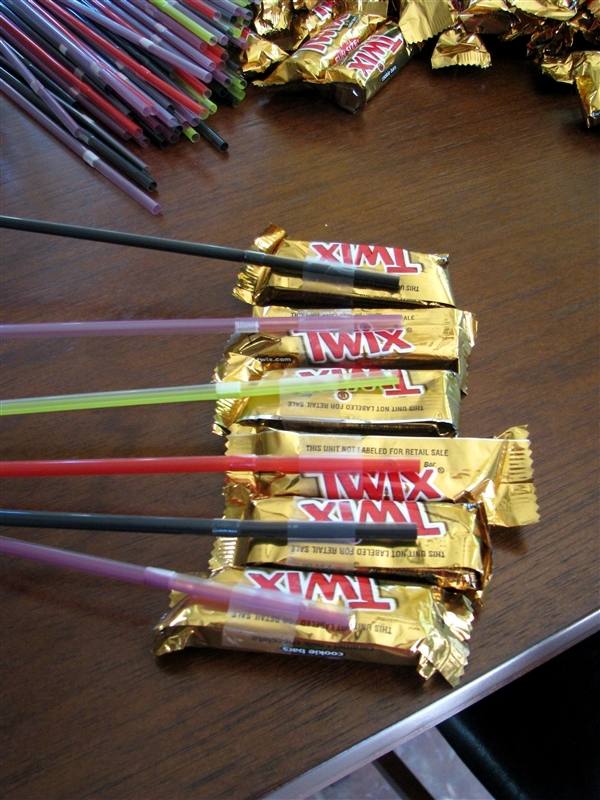 I started by taping the straws to the back of the Twix. 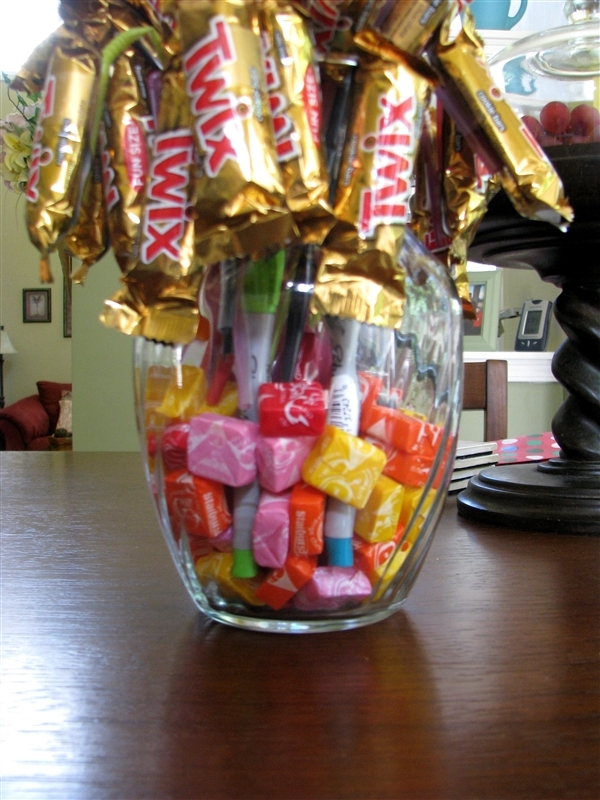 I then dropped some Starburst into the bottom of the vase and arranged the sharpies around the edges. 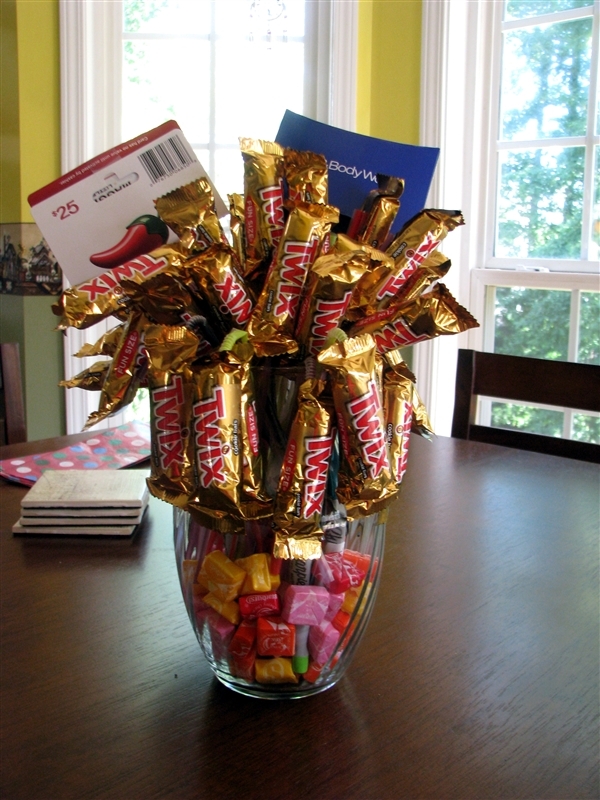 After that I put all the Twix on straws into the container and arranged them so they looked good. 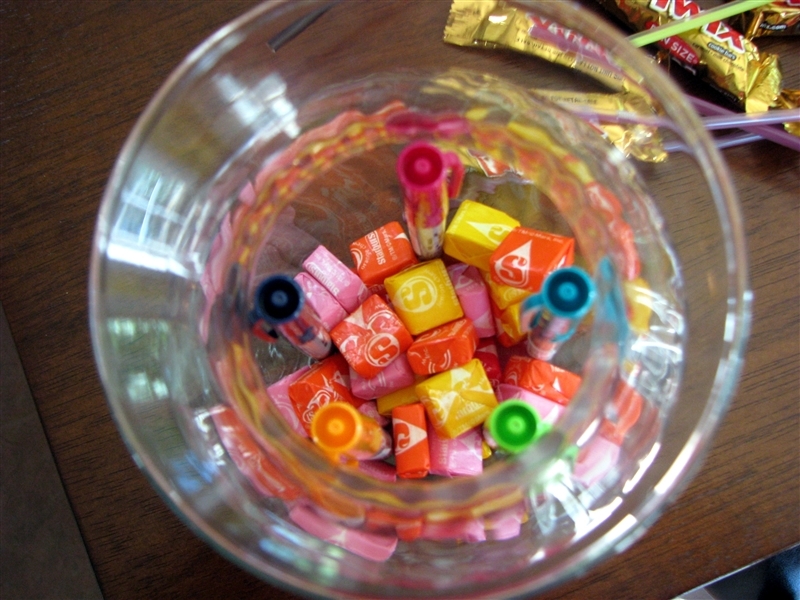 I continued to drop the Starburst into the base as fillers until they were all used. 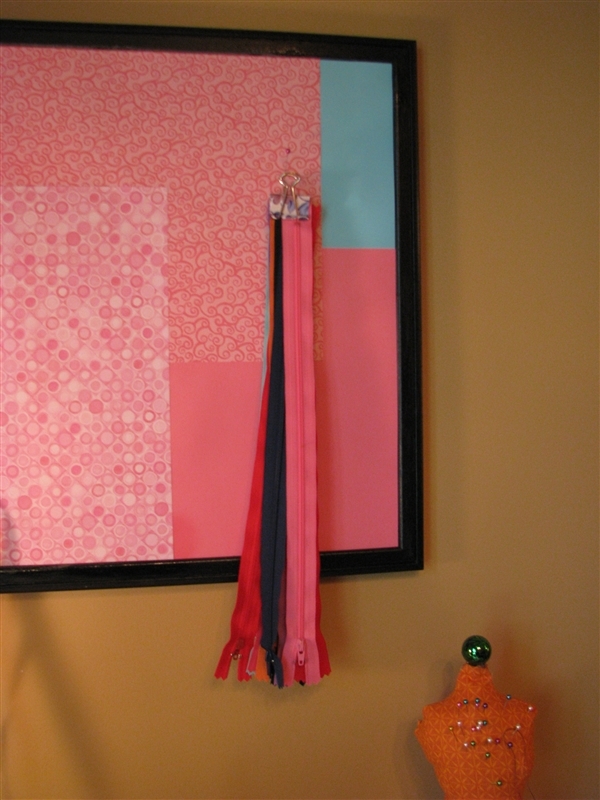 The straws were bendy straws so I was able to bend some of them and hang them over the side of the vase. 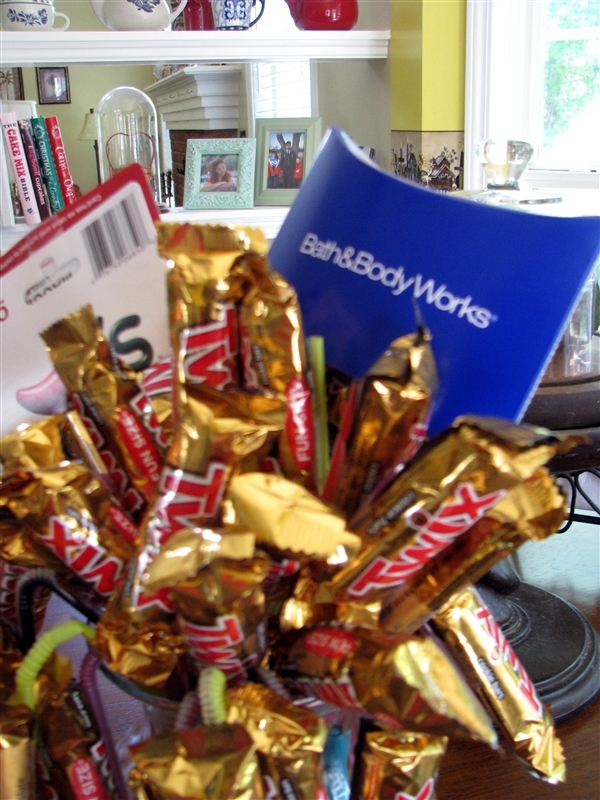 Once I was done with all the Twix, I taped the gift cards to straws and put them in the top. I love the way it turned out. I hope our teacher will like it too. 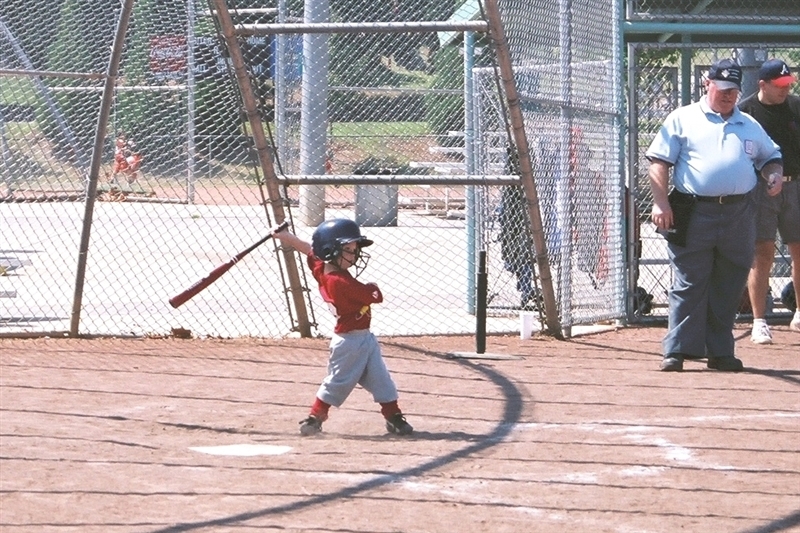 I have always said that my youngest was born with a baseball bat in his hand. 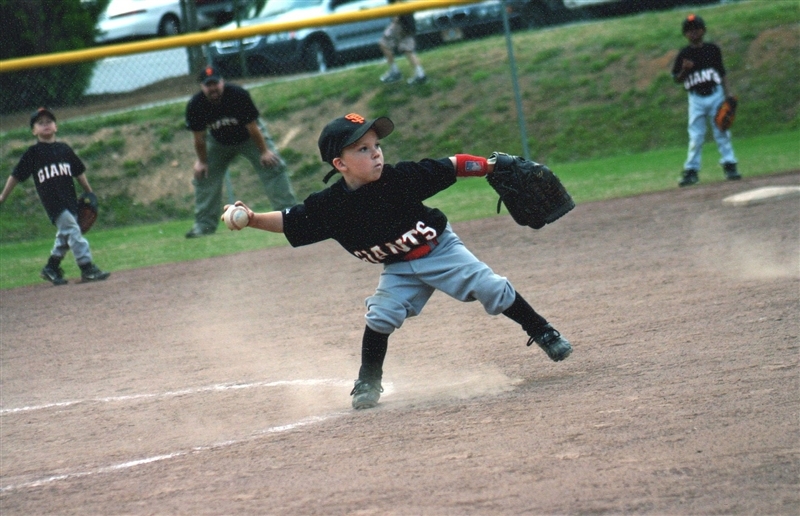 It all started when he was 3 years old and was on his first baseball team. 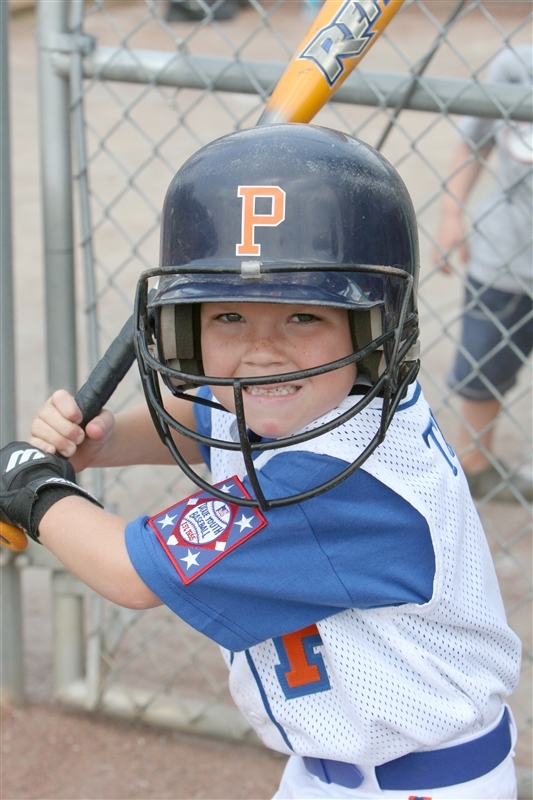 He may not have been big in size but he was big in his love of the game. We started him out in our church league but when it became apparent that he needed something more, we moved to the rec league at our local park. 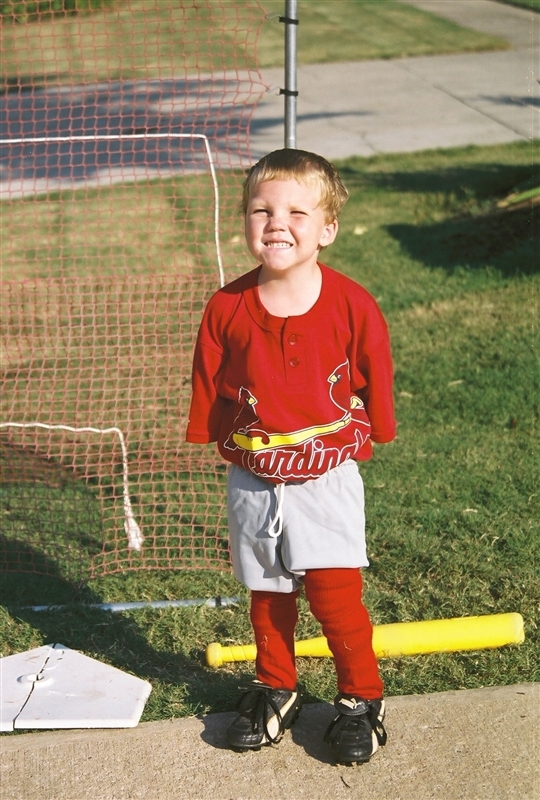 The first team he was on was the Cardinals. He was very proud of his first uniform. Check out those practice swings. 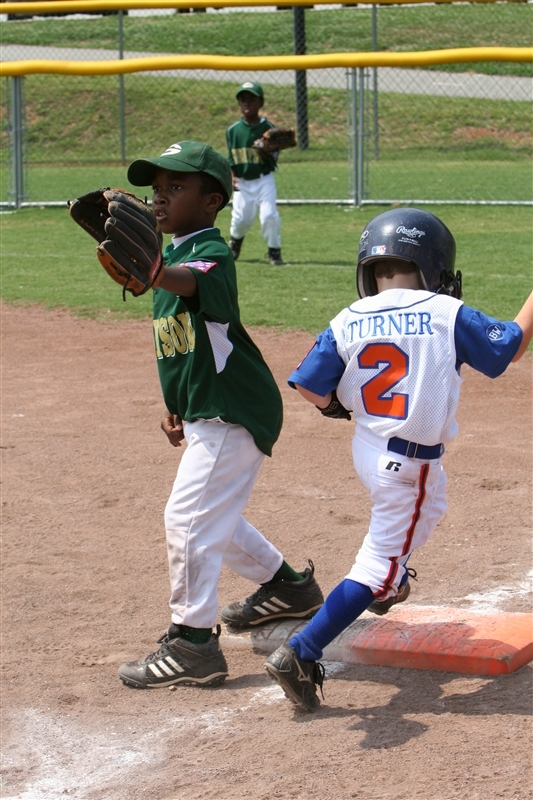 When he first started out he was number 10 like his favorite player, Chipper Jones, from the Atlanta Braves. 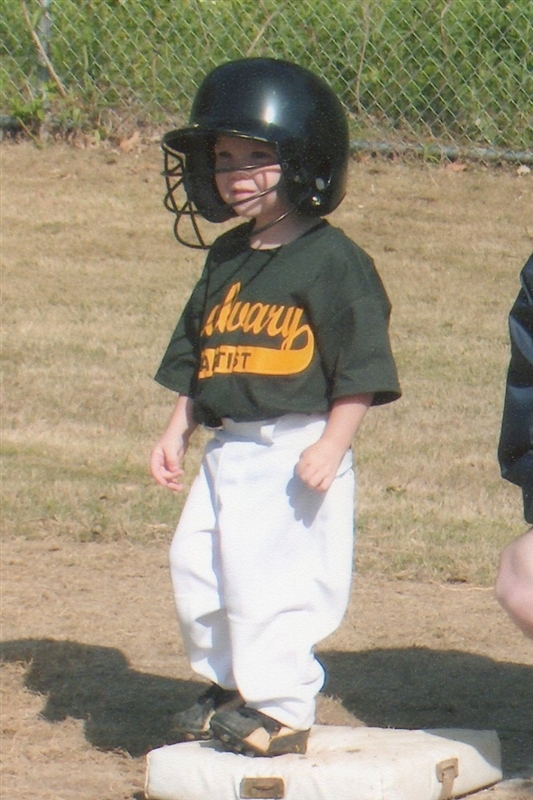 I don’t remember even knowing the names of professional baseball players when I was 4 years old. In the Spring season of the same year, his team was the Atlanta Braves. Go figure. 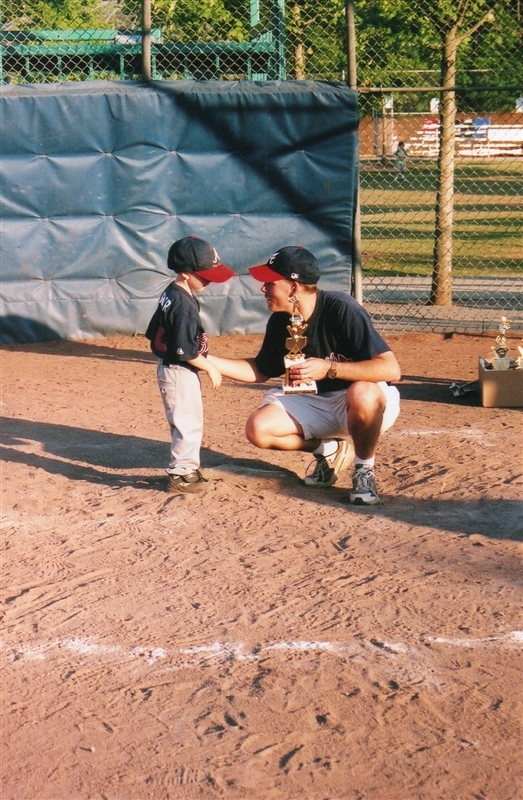 His daddy was the coach and they came in first place in the season that year. 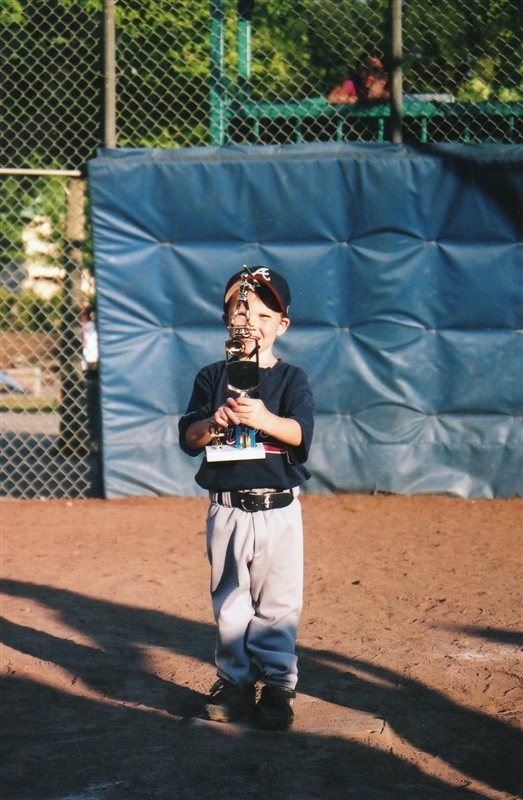 The trophy is almost as big as he is. After the Spring season, some of the players are asked to play on All Stars. Zachary was asked and was very excited. They even got to play some games at a local park that had astro turf on their field. That was really cool to all these boys. 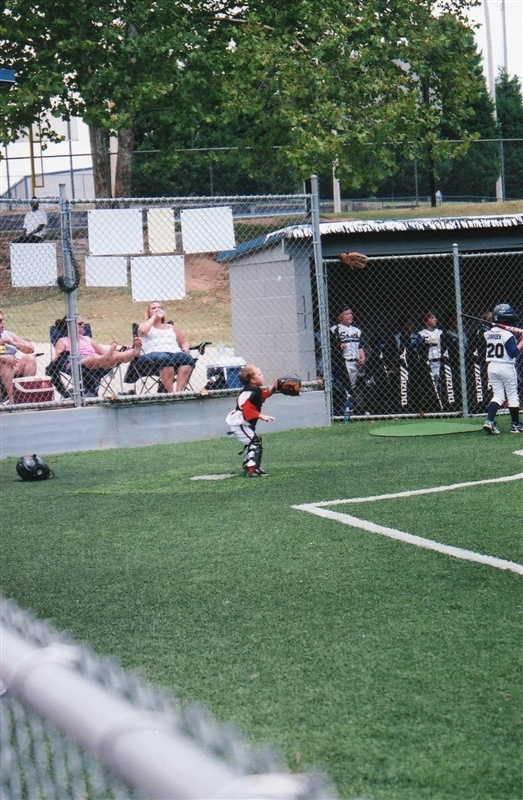 I think this is the smallest catcher ever!! The next fall we were back at it. 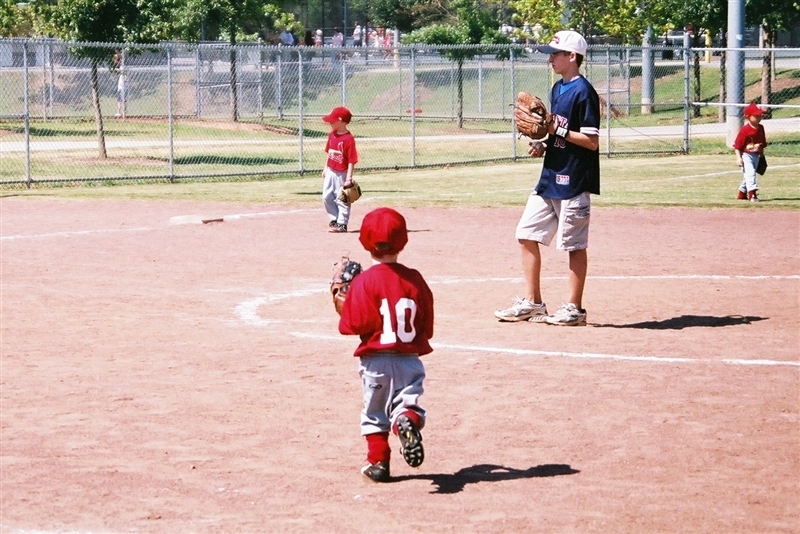 This would be his last year in T-ball and they were the Cubs. He hadn’t grown very much since last season but look at the determination on his face. In the Spring they were the Giants. 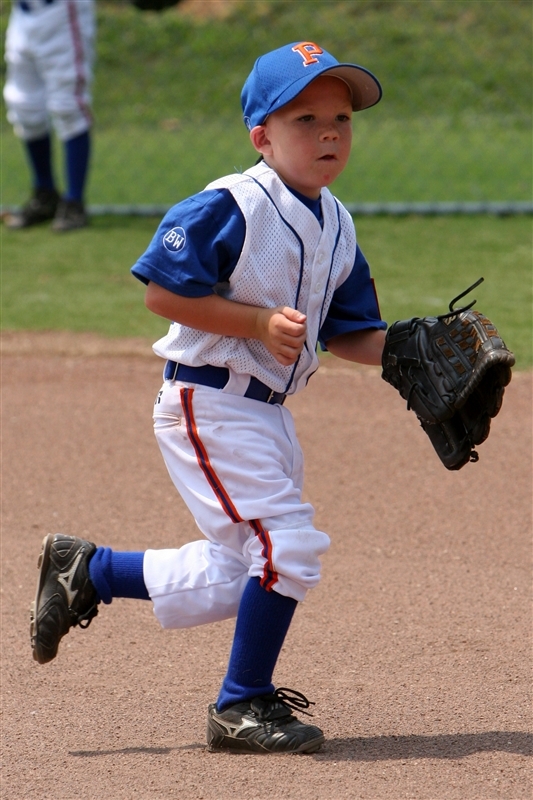 He rightfully earned the position of “circle” or pitcher as it is called when you get older. Love the form. See what I mean by being a natural. 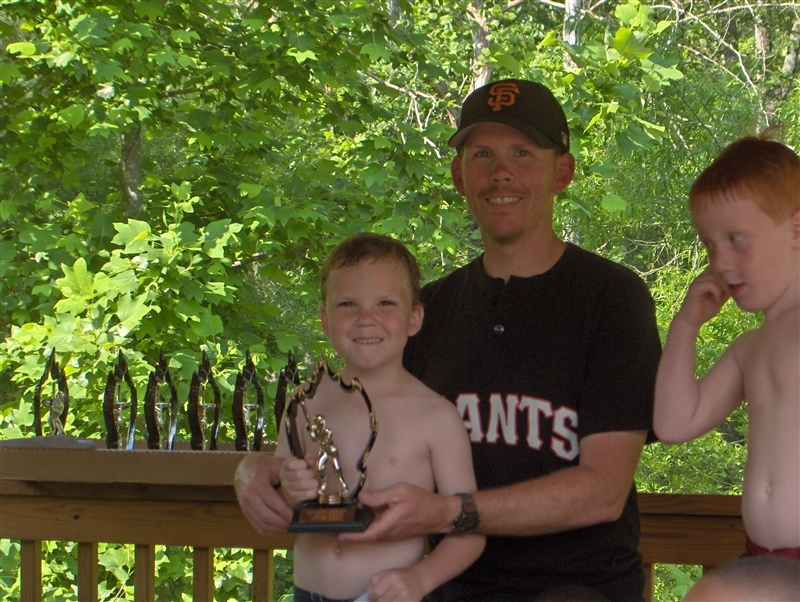 End of year party with a very happy and proud daddy. Who was, as you may guess, the coach again. 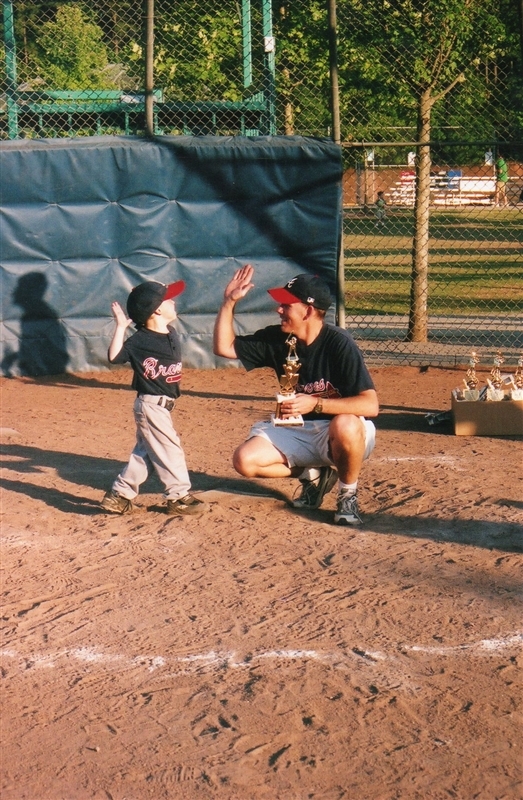 This concludes our T-Ball career. 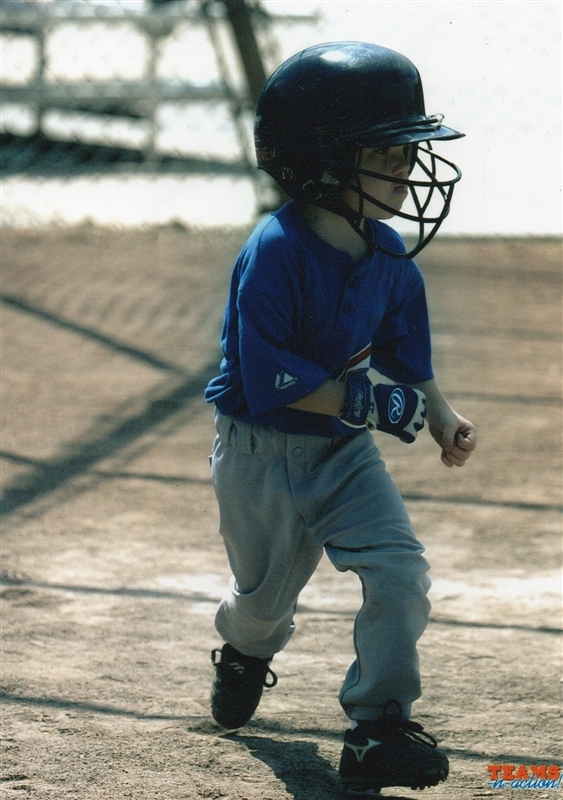 Stay tuned for PeeWee, Minor and some of Majors, which is the level Zachary is playing now. 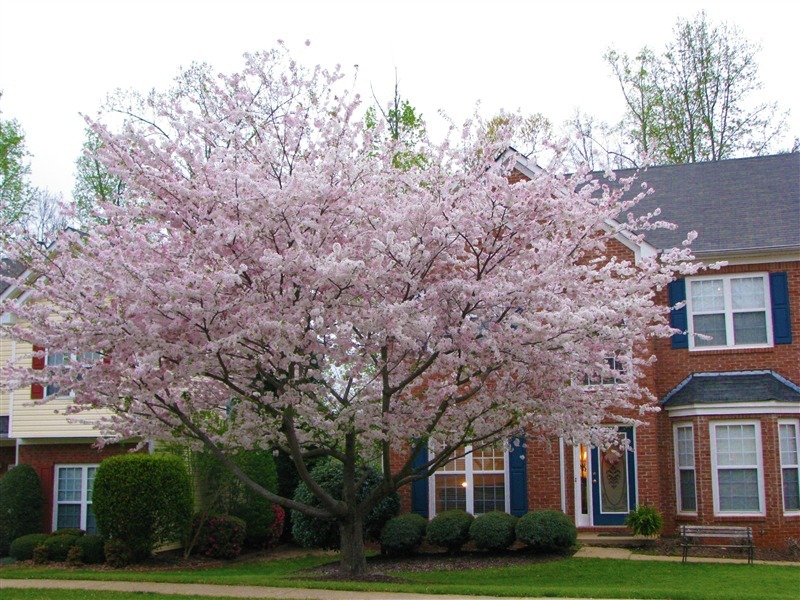 It is not unusual to have an early Spring in Atlanta. 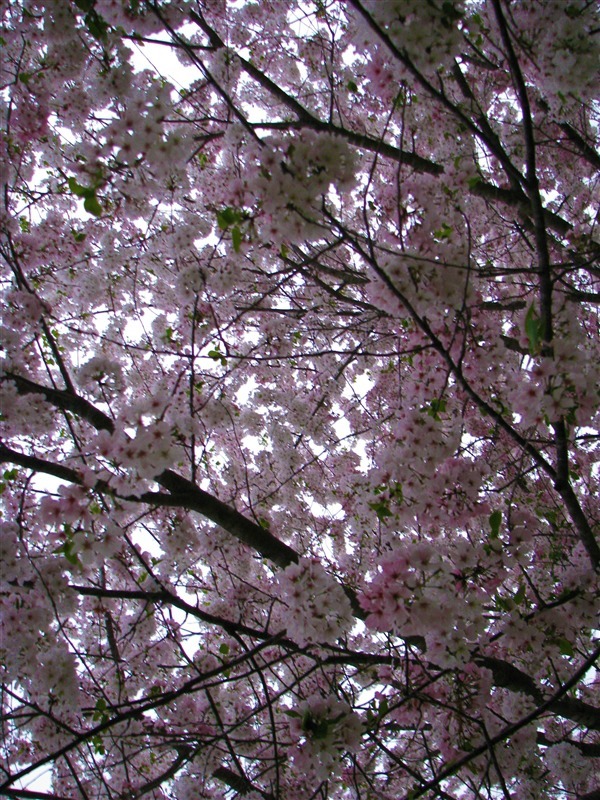 This year our spring has seemed to arrive earlier than ever. It’s as if we went right from fall to spring without a winter in between. That’s fine with me, we moved south from Ohio for a reason. 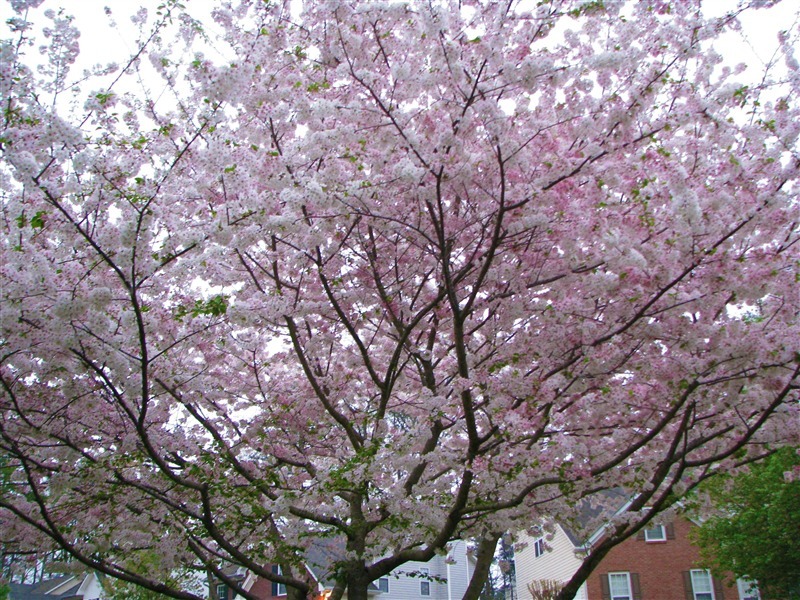 One sure sign around here that it’s Spring is the blooming of our Cherry Blossom tree. Hubby and I love this tree. 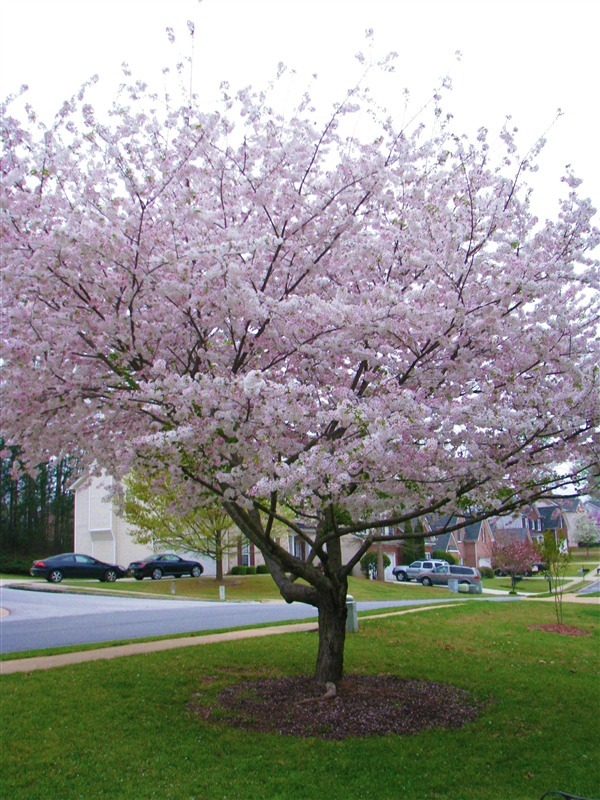 It blooms such beautiful delicate flowers. 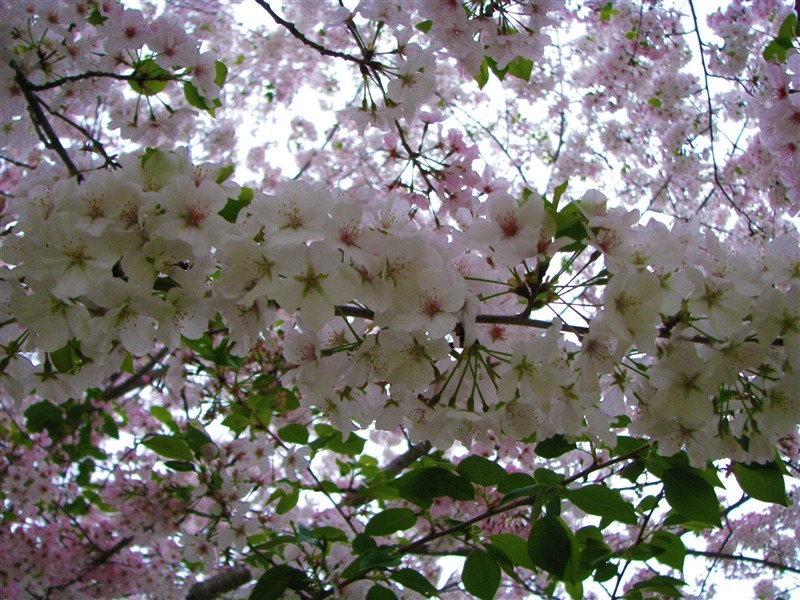 If the wind blows too hard, these delicate flowers will fall from the tree like it’s snowing. My son thinks it’s funny to kick the soccer ball into them and purposely knock them off. After the first rain, they will mostly fall anyway and will leave behind a bunch of green leaves. The leaves aren’t near as pretty. 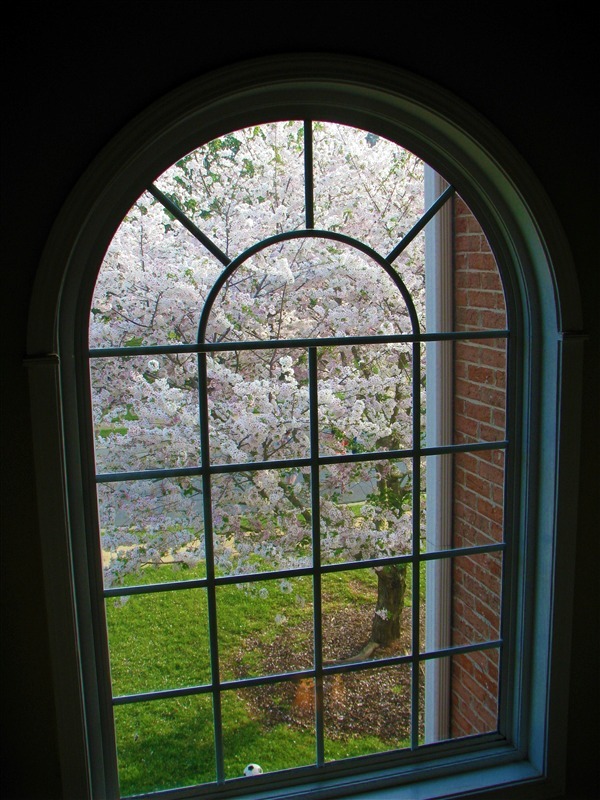 I love the view it provides from the window in the 2 story foyer. 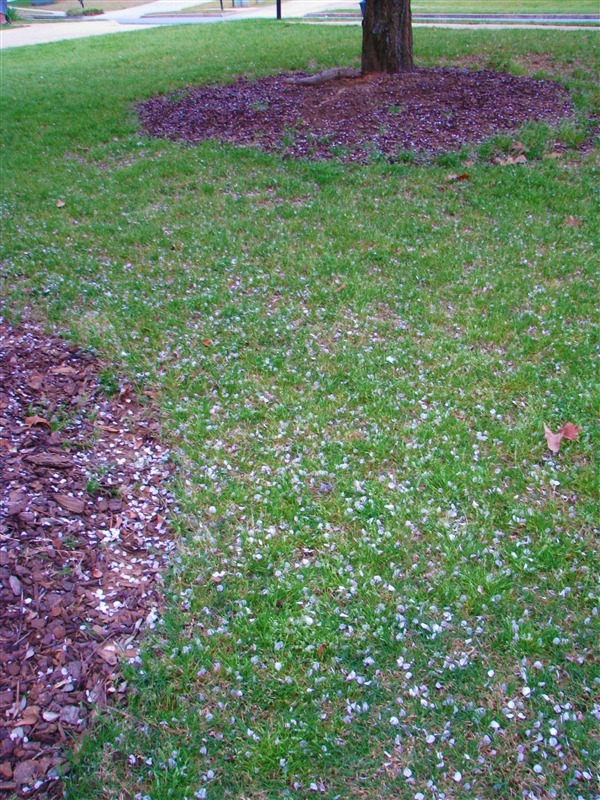 I’m always so sad when the white petals fall off but we certainly do enjoy it while it’s here. A few weeks ago, I had decided to jump on the 40 bags in 40 days bandwagon with Ann Marie over at White House, Black Shutters. I started off really good then life just got busy so I hadn’t done anything in a while. My daughter’s softball team is having a garage sale to earn money this weekend. I decided that I need to get busy coming up with things to put into the sale and it’s a perfect time to get rid of stuff that I have been hanging onto forever. 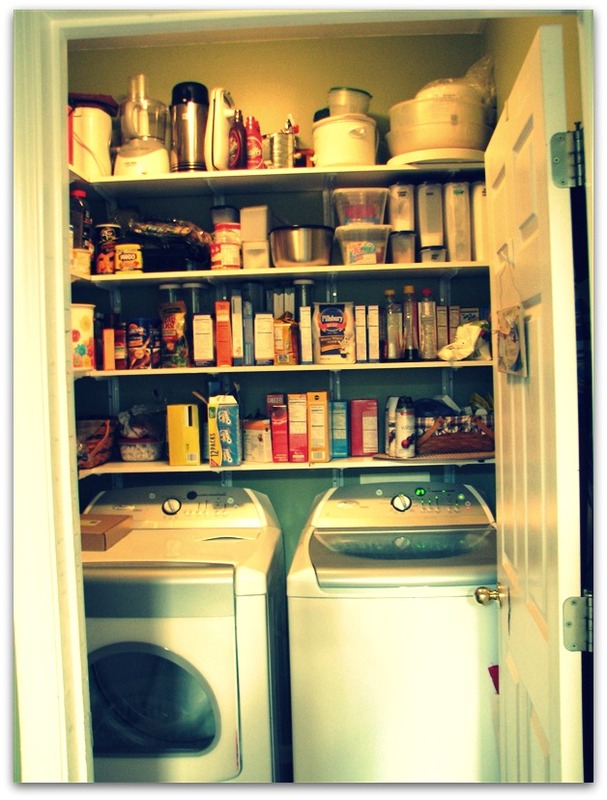 This is my pantry/laundry room. Every time I walk into this room to get something, it gives me a headache. We are supposed to one day move the washer and dryer to the basement but I seriously doubt that will ever happen. One of my biggest problems with the room is that I can’t reach the shelves. Every time I need to get something, I have to get on a step stool to reach it. It’s just as difficult to put things away. Everything just ends up shoved up there with no rhyme or reason. Things get shoved to the backs of the corners and I can never find anything. I have several small appliances that I don’t use anymore, that need to be given for the garage sale. 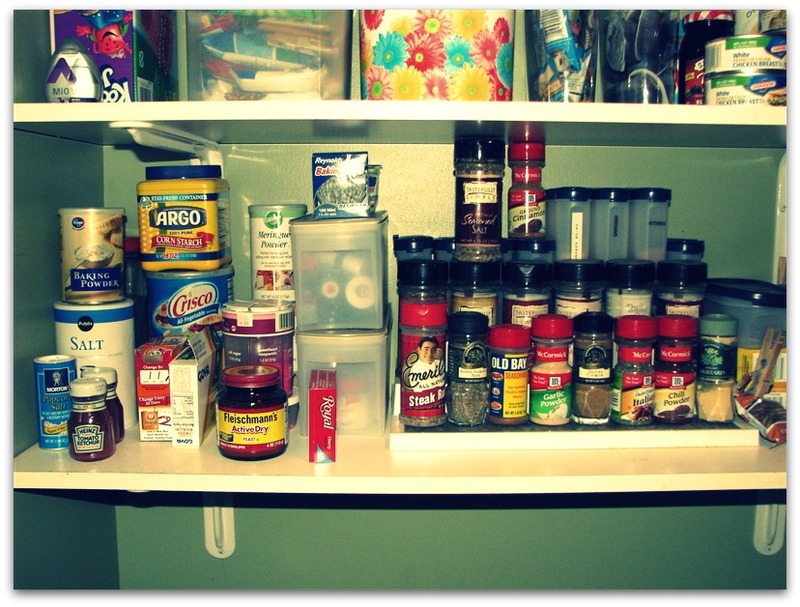 At one point, for a reason that I don’t understand, I put my spices and baking things on the 3rd shelf. 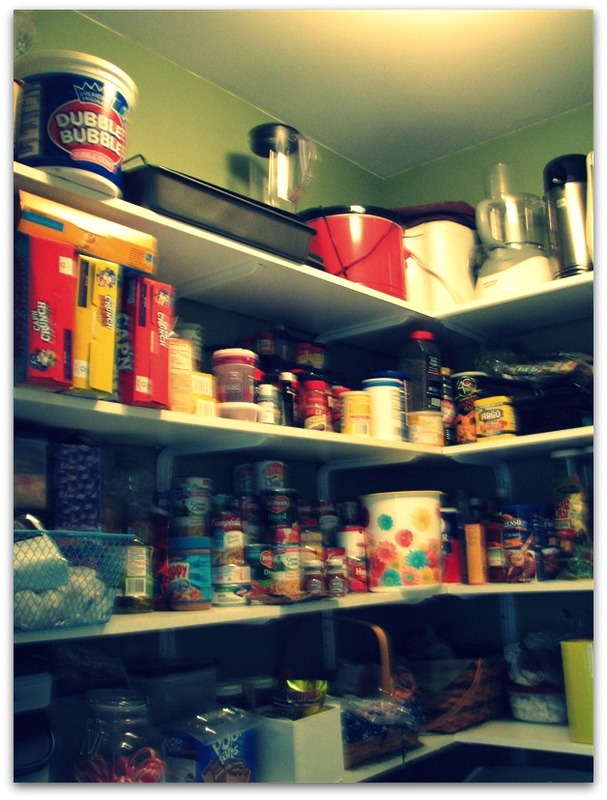 I think I did this to keep the bottom shelf for snacks and items for the kids. They really aren’t able to reach all the way up to the 3rd shelf. So I just jumped in. I got a box from the garage to put in the stuff for the garage sale. I got a trash bag for things that have expired that need to be disposed of. I wiped down the top shelf, it was really dusty up there. 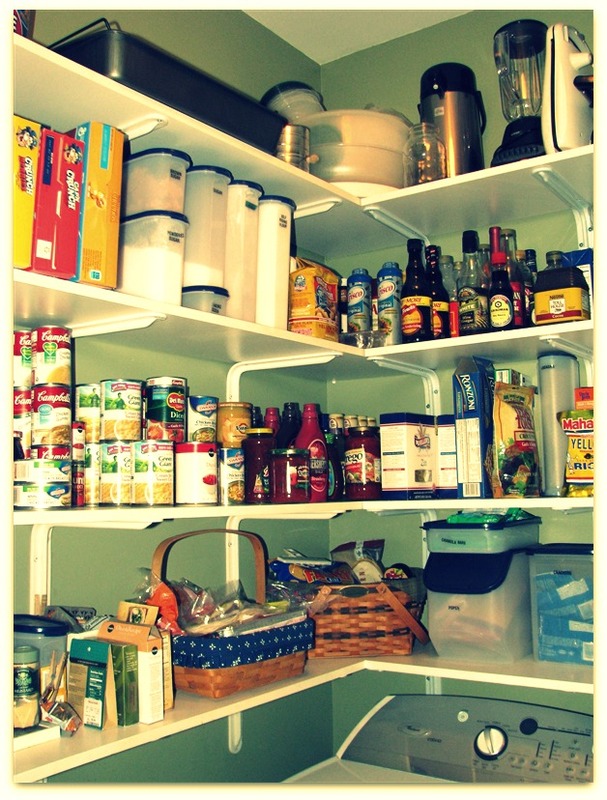 I like to have all my food together so I know what I have and am able to find stuff. I also moved my spices to the bottom shelf. This right there will make my life so much easier. I love how it turned out. I love how all my cans and jars are lined up and facing forward. 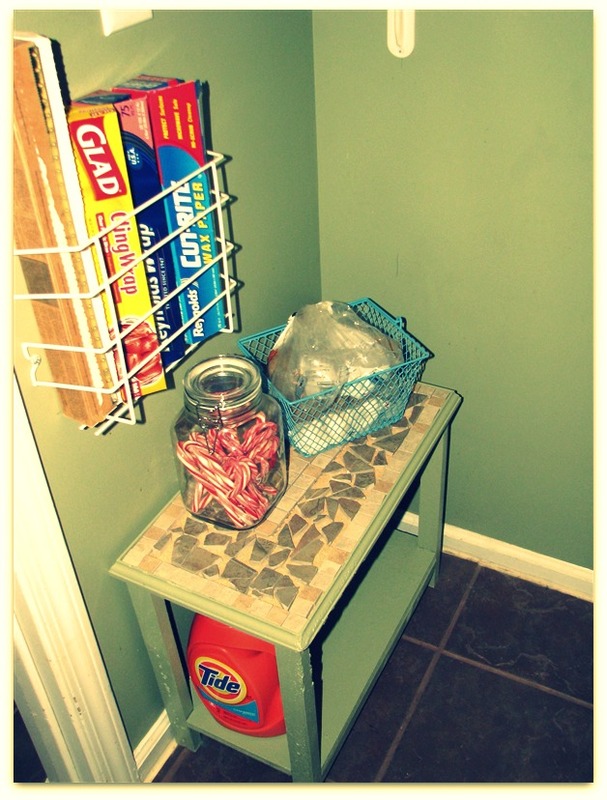 Because it is also a laundry room, I do have to have laundry supplies in here. I moved a stand up from the basement that works perfectly. It also gets my detergent off the shelves with the food. 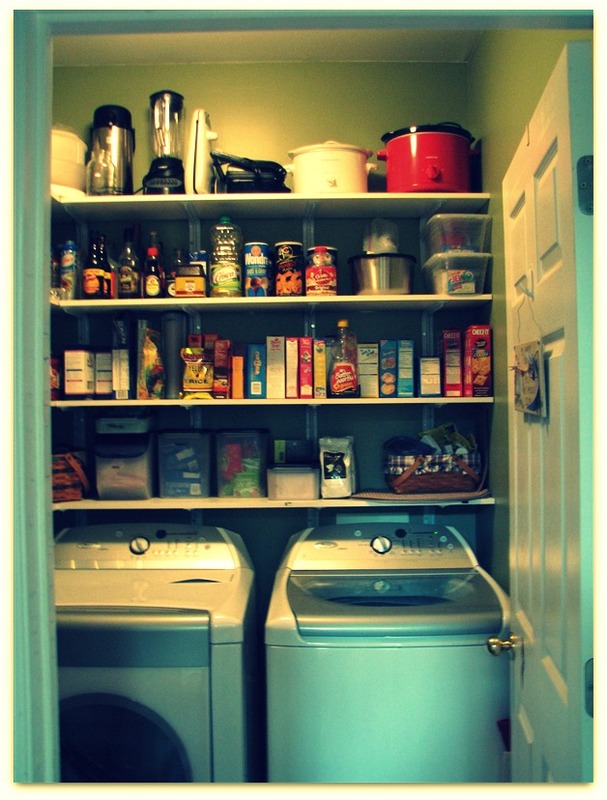 So, that’s my pantry and laundry room all cleaned up. I managed to get 1 bag of trash and 1 box of stuff to get rid of. Hi! I"m Nancy. Please click the picture to learn a little bit more about me and my family. Click here to visit my Longaberger website.